Many couples consider children as a very important part of their life and for those who have difficulty conceiving one can be a hard obstacle to tackle. Some couples do whatever they can such as various treatments, acupuncture, medicine treatment and IVF treatments while others feels that the pressure becomes too hard and they separate. Infertility primarily refers to the biological inability of a person to contribute to conception. Infertility may also refer to the state of a woman who is unable to carry a pregnancy to full term. There are many biological causes of infertility, some which may be bypassed with medical intervention. 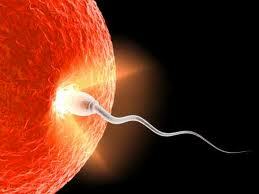 In vitro fertilization (IVF) is a process by which egg cells are fertilized by sperm outside the body, in vitro. IVF is a major treatment in infertility when other methods of assisted reproductive technology have failed. The process involves hormonally controlling the ovulatory process, removing ova (eggs) from the woman’s ovaries and letting sperm fertilize them in a fluid medium. The fertilized egg (zygote) is then transferred to the patient’s uterus with the intent to establish a successful pregnancy. Robert G. Edwards, the doctor who developed the treatment, was awarded the Nobel Prize in Physiology or Medicine in 2010. Some people decide to take the step to adopt a child but the negative aspects of this are that most adoptions take very long time. It’s a paradox if we think of the number of orphan children around the world and that those who apply for adoption have to wait for many years in line before they can add a new family member to their household. Therefore lately there is a rising use of surrogate mothers around the world. Surrogacy was first heard mostly in the media where Hollywood actors and actresses used but now, common people tend to use this method. Surrogacy can be defined as an arrangement where a woman carries and delivers a baby for another person or a couple. This woman may be the genetic mother of this child (traditional surrogacy) or she may carry the pregnancy to deliver after having an embryo which she has no genetic relationship to (gestational surrogacy). If the pregnant woman receives compensation for carrying and delivering the baby besides medical and other expenses, it is called commercial surrogacy; otherwise the arrangement is called altruistic surrogacy. The social parents, those that intend to raise the child arrange a surrogate pregnancy because of female infertility, or other medical issues which may make the pregnancy or delivery impossible, risky or otherwise undesirable. The social mother could also be fertile and healthy, and prefer the convenience of someone else undergoing pregnancy, labor, and delivery for her. The intended parent could also be a single man or woman wishing to have his/her own biological child and the legality of surrogacy arrangements vary widely between jurisdictions. Usually, though, the etiquette is that the biological parents will provide the surrogate mother with any necessities the surrogate needs in the pregnancy such as providing transportation to and from doctor’s appointments; covering the costs of doctor visits, medications, procedures, hospital stay, and delivery fees (emergency and nonemergency) if medical insurance is not available by the surrogate; providing maternal clothing for the surrogate; if the surrogate was working before but quit to do the surrogacy, the biological parents will cover life necessities such as food, bills and etc. Until recently, the 350 clinics offering surrogate mother services to the hundreds of medical tourists coming to India every week have been unregulated. But legal cases in India and other countries mean that this profitable free-for-all will be replaced by regulated agencies being forced to comply with national and international law. That may soon change. A draft bill to direct assisted reproductive technology (ART) is likely to be introduced this year in Parliament. India’s Supreme Court has demanded urgent new legislation to regulate one of India’s fastest-growing industries as they have become the world capital of outsourced pregnancies, where surrogates are implanted with foreign embryos and paid to carry the resultant babies to term. In 2002, the country legalized commercial surrogacy in an effort to promote medical tourism and Indian surrogate mothers are considered as available and cheap. In 2002 the country legalized commercial surrogacy in an effort to promote medical tourism; a sector the Confederation of Indian Industry predicts will generate $2.3 billion annually by 2012. Many of the couples using India are from countries where surrogacy is either illegal or unaffordable. 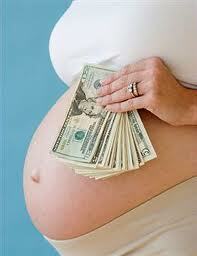 Surrogacy costs $12,000 to $20,000 per birth in India, compared to $70,000 to $100,000 in the USA. Indian surrogates are usually paid between 5,000 to $ 7,000 for their services, which is more than many of them would be able to earn after years of work. In some Indian clinics surrogates are recruited from rural villages, with most recruits being poor and illiterate. Surrogacy recruits are also brought to the clinics where they are required to stay in the clinic’s living quarters in a guarded dormitory-like setting for the entire pregnancy where they are being taking care of in case of complications. There have been several cases in which babies born from Indian surrogacy arrangements were stateless, in which neither India nor the parents’ home countries recognized the babies’ citizenship. “We can only wish them good luck,” India’s Supreme Court told local media. Japan considers the woman who gives birth to a baby, the surrogate, to be the baby’s mother just like Norway does. Until recently, two-year-old twin toddlers were stateless and stranded in India. Their parents are German nationals, but the woman to whom the babies were born is an Indian surrogate. The boys were refused German passports because the country does not recognize surrogacy as a legitimate means of parenthood. And India does not confer citizenship on surrogate-born children conceived by foreigners. Only after a long legal battle did Germany allow the boys German passports. The new proposed government bill bans in-vitro fertilization (IVF) clinics from brokering surrogacy transactions. It also calls for the establishment of an ART bank that will be responsible for locating surrogate mothers, as well as reproductive donors and fertility clinics will only come into contact with surrogates on the operating table but clinics see this as unworkable as they want to perform medical and background checks. But the new rules seek to protect surrogate mothers with freedom in negotiating their fee and mandatory health insurance from the couple or single employing them. The legislation will only allow a woman to act as a surrogate up to five times, less if she has her own children, and will impose a 35-year age limit. At the same time, the new legislation will also require and make sure that the international couple’s home country guarantees the unborn infant citizenship before a surrogacy can begin. If this stipulation becomes law it could kill the industry as few countries will or legally could guarantee citizenship before birth. Countries accepting surrogate-born children typically rely on DNA tests done post-delivery to determine the parentage of the baby. How will the legislation affect Indian clinics? Dr. Patel chooses among the women who appear at the clinic, at least three a day, hoping to hire out their wombs and she pairs the surrogates with infertile couples, catering to an increasingly international clientele from 13 foreign couples in 2006 to 85 in 2009. The entire process costs customers around $23,000 less than 1/5 of the going rate in the U.S. of which the surrogate mother usually receives about $7,500 in installments. Dr. Patel implants the women with embryos, using specimens from sperm or egg donors if necessary. Once pregnant, the surrogates are housed onsite, in a dormitory that was once a local tax office, so that they can be supervised until delivery. But under the new legislation, Patel will be permitted to supervise nothing but surgery. Dr Patel does not agree with the legislation maintains that ART banks will not have enough experience to determine whether a woman is fit for surrogacy. 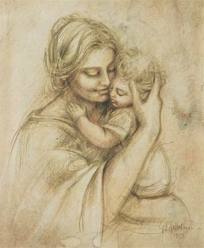 “The trust the clients and surrogate mothers have with me is what makes the whole thing secure and safe. And at the end, when they want to buy a house or a piece of land for farming, we get them the best deal. With this bill, we will not know what they are going to do with such a big amount of money,” she says. During nine months, Kari Ann Volden, a Norwegian woman have been battling against the Norwegian government to adopt the twins Adrian and Michael, who was born from a surrogate mother in India January 24, 2010. According to Norwegian rule, the woman who gives birth to the child is the legal mother. Family Minister Audun Lysbakken promised in May 2010 that the Ministry should take into account the children and make a moral exception in the case even if Kari Ann Volden was not considered to be the mother of the children but when it emerged that she had lied about the eggs being hers the application then was rejected. Therefore she is now caught in India with the two young boys hoping that her adoption application still will be granted. According to the Norwegian authorities, the children are Indian government’s responsibility. But Indian authorities claim that the children are Norwegian and the twins are therefore now stateless. Norwegian government justifies the refusal on the basis of international conventions and Norwegian law to prevent the purchase and sale of children. This is the first time that such a case is dealt with in Norway. Norway has ratified the Convention on Human Rights, which states that children’s best interests will be emphasized, even when it comes to adoption across national borders. And that’s what this case is all about children’s best interests, not their biological connection. After the birth of the two boys, the authorities demanded a DNA test to finish up the adoption process, and Volden admitted then that both eggs and sperm was donated and the Norwegian adoption authorities put their foot down for the adoption of the two twins. Volden is sorry that she had told the adoption authorities that the eggs were hers but says she said it to protect the boys and herself. “I did not think that the case would receive such attention. I thought we would be in India for seven weeks, but now we have been here for seven months,” she said. Labor Party politician has followed the case with great interest for a long period. The case created great interest among the people, expressed both through the Facebook support group and fundraising since Volden is suffering economically. Much indicated that the case was about to resolve it when the family minister Audun Lysbakken opened to domestic adoption, but it was paradoxically this opportunity that led to incorrect information was revealed. Regina A. Singh has never met the Norwegian father who applied for surrogacy alone and she thinks it’s strange to carry out a child who should not have a mother. “It would never have happened in India. But I do not think about it. This is not my baby,” Regina says. She is 23 years old and has two children from before herself. This is her first time as a surrogate mother. “We needed the money. First, my husband refused, but I managed to persuade him,” she said. For the job, she gets 350,000 rupees, around $7,740 and that is a fortune for the family of four, which until now have lived by the husband’s income of about $ 900 a month. But Regina has chosen to keep the matter secret from the in-laws as they would never understand. In the tradition-bound India, it is often associated with shame to rent out her womb for others especially in rural areas; surrogacy is combined with social stigma, and is seen as dirty and immoral. Udmala Mansoya (30) and Hema Rawal (34) admittes its hard work but they do it for the money. Both have undergone multiple pregnancies earlier but this is completely different. Both agree that once is enough for them as a surrogate mother. Udmala will use the money to buy a house, while Hema will ensure that her own three children receive education, but none of them get the money in hand, they are managed for them by Akanksha Clinic. “Many of the women can not read or write, so we think it is best that we look after their money for them,” says clinic administrator Himesh Patel who helps the women with house and land purchase. If something were to happen during pregnancy or birth the women have little protection as Indian insurance companies refuse to insure pregnant women, and women are therefore at the mercy of their employers.”We did not know this. But we hope it goes well,” says Hema and Udmala.